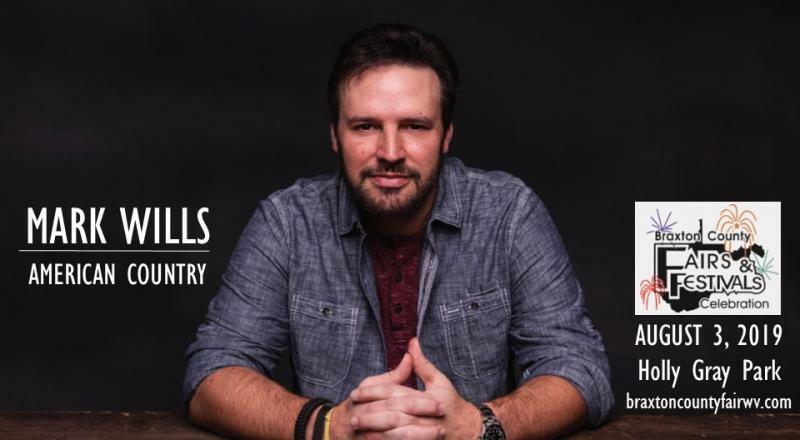 Saturday, May 4 from 9:00 a.m. to 4:00 p.m.
We’re excited to announce that Multi-Platinum, ACM Winner Mark Wills will be performing at the Braxton County Fair on Saturday August 3! The Microtel Inn & Suites just off of I-79, Exit 62 (Sutton/Gassaway) has special rates for Braxton County Fair visitors. Give them a call at 304-364-6100 and mention you are going to the Braxton County Fair to take advantage of the special low rates. Paid Admission Includes all Shows & Carnival Rides. No Refunds.